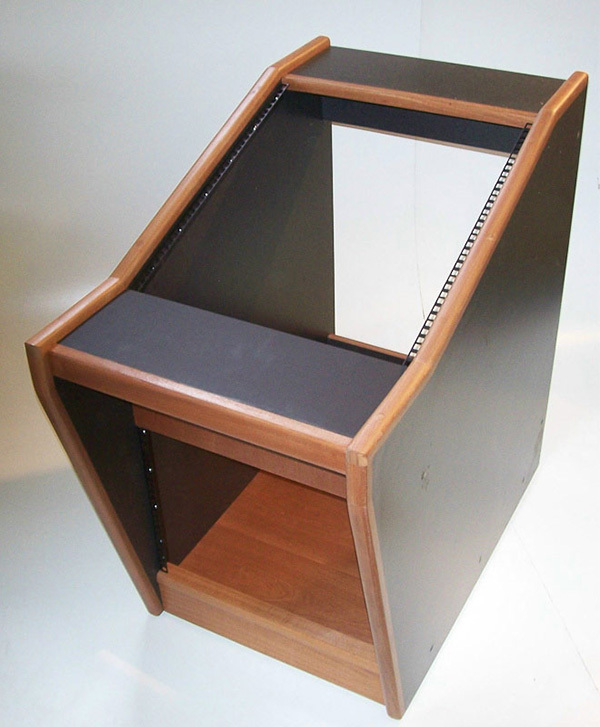 There are a number of reasons for you to choose a custom rack. You might be after a specific look, with a bespoke finish or additional details such as cut-outs and curves. Perhaps you need a size and configuration of racking that lies outside the set of sizes offered for the classic rack service. Doors, cutouts, paint spraying, built-in shelves, sliding shelves, draws, desk surface finishes including laminates and furniture lino are just some of the variations which you may wish to consider, and it does not necessarily mean adding large costs. Customising a standard rack shape by adding or reducing the depth or height by a few centimetres is unlikely to cost you a penny, adding rear rack strips a few pounds. Email with your requirements, you will have a reply within a day or so, or if you prefer please phone. There are contact numbers on the bottom of every page. Size is a key consideration. Whilst our classic racks cover a very wide range of requirements they are deliberately limited to sizes that can be delivered by standard delivery services. 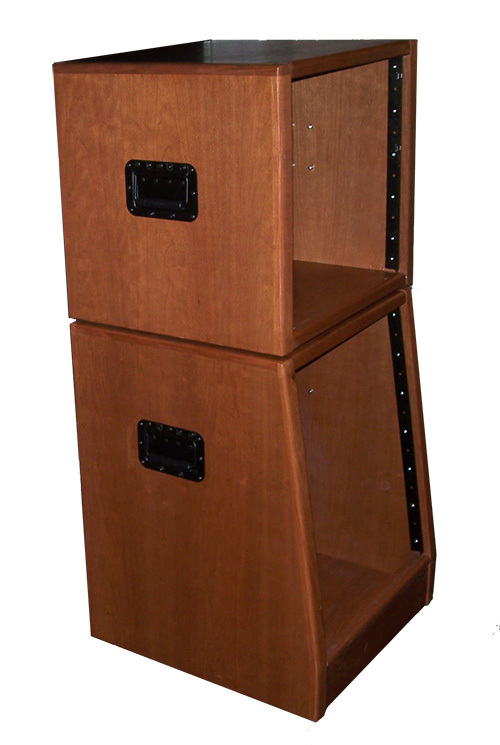 Therefore – as with many of the desks – very large racks have to be delivered and installed by us. Our quotations will always include charges for delivery and installation. Whilst we cover large areas of the UK we may not be able to offer personal delivery of the larger racks and desks to all areas.